Okay, moms. Let’s face it. 13-year-olds are moody. The eye-rolling, the sarcasm, the one-word answers. It's all expected. But what happens when your gut tells you more is going on? My friend, Sarah, called me last week, worried about her teenager in 8th grade. I really didn’t know what to tell Sarah. 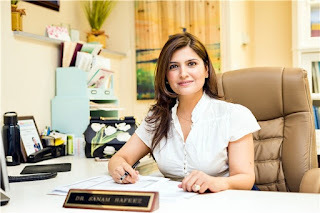 I wanted to help her with her daughter, so I reached out to Dr. Sanam Hafeez PsyD, founder and Clinical Director of Comprehensive Consultation Psychological Services. "Perhaps a teacher embarrassed the 13-year-old and she doesn't want to be a tattler for fear of the teacher coming down even harder. Or perhaps, it's something to do with a boy, being made fun of, humiliated or bullied," says Dr. Hafeez. "Girls are incredibly hypersensitive at age 13 due to hormone fluctuations." Dr. Hafeez suggested that something traumatic may have happened to Sarah’s daughter over the past two weeks that she doesn't want to share with Mom, maybe from embarrassment or fear. We all know the teenager years are just miserable and I am sure we all have our own embarrassing stories. Sarah and I sat on the phone for an hour, trading stories about our middle school experiences. "It is normal for a 13-year-old girl to want to be homeschooled after a bad few weeks and then, overnight, the conflict or whatever is going on at school resolves itself and she's back in the mix, eager not to miss out on what is going on at school," Dr. Hafeez. "Consider reminding her that you are happy to explore homeschooling as an option and first want to understand her side and what inspired her request to be homeschooled." Dr. Hafeez stressed to me the language used is very important when Sarah is talking her daughter. 1. It's respecting her wishes and not making her wrong in any way for feeling frustrated or anxious. 3. When you’re connecting and finding a solution together, that’s where you can step in as a parent and help guide her way. "Saying something like, 'My sweet beautiful girl, I want to hear you out on this so we can get you learning in the best way. As you can understand, if we decide to homeschool you, I'll have to present the decision to the teachers and school administration. There's a whole process parents have to go through, so I want to get all the facts from you so we can get all the ducks in a row.'" Let me translate “clinical psychologist” into “busy mom.” Sarah needs to make a safe space for her daughter and shouldn’t dismiss her worries as immature junior high BS. "First it is important that she is validated, heard and understood," said Dr. Hafeez. "Consider opening the conversation with, “I'm not sure if we can pull off homeschooling but if this really matters to you I want you to discuss it openly with me. Cool? Ok so tell me, what led to your decision to want to be homeschooled'?" I passed along the information to Sarah, and prayed for the situation. Two days later, Sarah called me. She was able to have a meaningful conversation with her daughter that bonded the two. Apparently, her daughter was being “outcast” by the leader of the “group”. Others in the group were being told by the bully not to hang out with her daughter. Sarah’s daughter admitted that she loved her friends and actually loved school, but this one girl was stressing her out. Sarah and her daughter came up with a plan on how to handle the bully (which I plan to write about in a future post). Fortunately, in a few days, Sarah’s daughter was eager to be at school. So what can we learn from Sarah’s story? If you have a teenager who seems more stressed out than normal, give your child a safe space to talk to you. Don’t dismiss his or her feelings. The key here is to get answers to solve what is really going on. 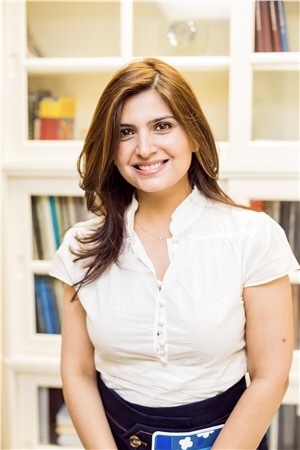 Dr. Sanam Hafeez PsyD is a NYC based licensed clinical psychologist, teaching faculty member at the prestigious Columbia University Teacher’s College and the founder and Clinical Director of Comprehensive Consultation Psychological Services, P.C. a neuropsychological, developmental and educational center in New York City. Dr. Hafeez has appeared on The Doctors, Dr. Oz, CNN and Fox News plus local NYC news channels.